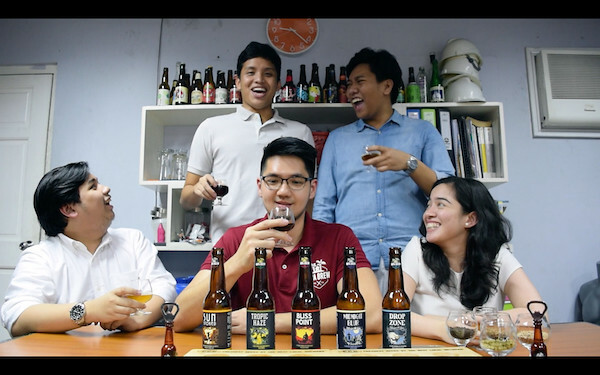 In the recent years, the Philippines has slowly hopped into the craft beer revolution across the globe. The local craft beer industry initially found its ground in native provinces like Benguet and Cebu, until it began to create abuzz in the metro. Young adults and professionals easily gained interest in the homegrown brews that were penetrating the market and redefining the taste and quality of beer in the country. For many years now, craft beer enthusiasts have tried to build a community that would boost the industry and widen its range. In support of this advocacy, the UP Junior Marketing Association is kicking off its new brand, UP JMA Craft— a series of campaigns focusing on the art of a specific local industry with Craft: The Art of Beer and Brew. Targeting young adults in the craft beer, HRIM, and college communities, the campaign aims to promote an appreciation and an end-to-end understanding of the local craft beer industry. The campaign has produced fun fact infographics and six video episodes featuring the adventures of The Brew Crew—a set of young beer enthusiasts who explored the ins and outs of the art of craft beer, from the process of brewing to coming up with complementary food pairings. To culminate the campaign, UP JMA brings together some of the best local craft beer brands such as Nipa, Engkanto, Kapitolyo Crazy Carabao, Katipunan, The PCK, and more to showcase their brews and demonstrate the art of brewing in a night of good music and performances. It will be held on November 10, 2017 at Warehouse 8 (New Venue), Makati City. The program comprised of demonstrations from the craft beer brand partners and a series of performances will run from 8:00 pm to 12 mn. Registration starts at 7:00 pm. Tickets inclusive of one free bottle of craft beer are priced at P150 each. Visit the campaign’s official Facebook page—Craft: The Art of Beer and Brew for more details. 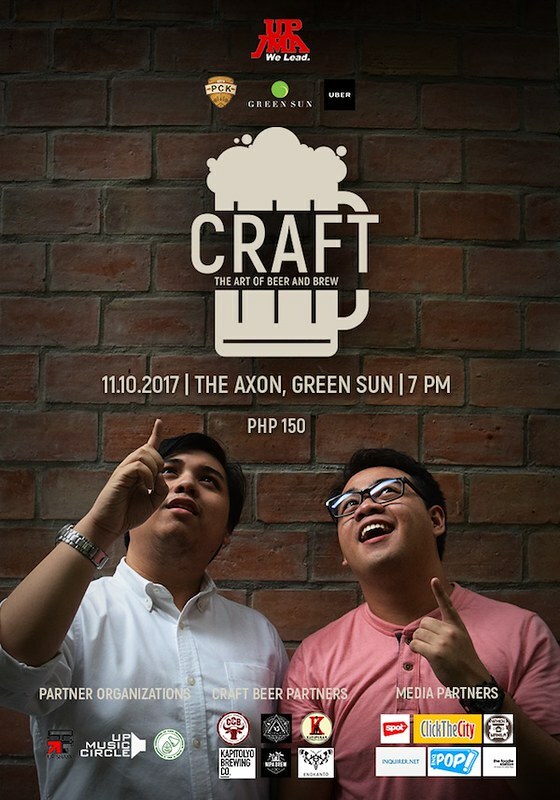 Craft: The Art of Beer and Brew is co-presented by Green Sun, Uber and The PCK. -Reposted by The Foodie Station for UP JMA.